Here you can compare prices on rental cars in the town Huesca, region Aragon, Spain. Find and book a rental car the easy way. When you rent a car from us, there are no surprises when you pick up the car on your arrival. 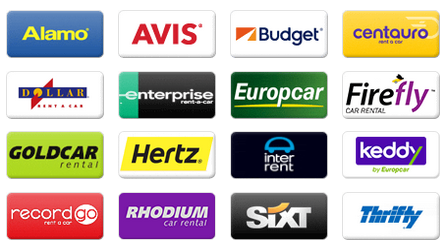 Centrally located are car rental companies like Thrifty, Sixt, Europcar, Avis, Hertz, Budget etc. All our prices include free mileage, airport fees, road assistance and obligatory insurances, taxes and fees. Autospain.co.uk can help you find a cheap car rental and car hire. Cheap car hire in Huesca - Compare prices before you book! Find the best prices for rental cars online. Comparing prices online can be very profitable, many smaller companies can otherwise only be booked on site. Comparison of rental cars and car hires from several businesses in the town of Huesca, Spain. Rental cars at Huesca’s train stations (Huesca Railway Station), travel centre and airports like Huesca-Pirineos Airport, Zaragoza Airport and Lleida-Alguaire Airport, HSK. We have an easy and safe booking system of rental cars online. Search and choose your destination, search for country, city etc. and choose from the list. A car hire service where every cost is included, no hidden fees and free cancellations/amendments up to 24 hours before you are supposed to pick up the car. Avis on Renfe Estacion Calle José Gil Cávez 8 Intermodal, Europcar, Hispania on Calle Daniel Montorio 6 are the companies we compare in the city and in Aragon to find the best price. Huesca (Osca) is a town in the municipality Huesca, Aragon region, Spain. It is the central city in the area. 3th largest city/town when it comes to inhabitants in the region and the 176th largest town/district in Spain. Jaca, Sabiñánigo, Binéfar, Zuera, Sariñena, Villanueva de Gállego, Estrecho Quinto, Huerrios, Bellestar, Banariés and Cuarte are smaller suburbs, villages and communities nearby. Ejea de los Caballeros (c. 17300 pop), Monzón (c. 17000 pop), Barbastro (c. 16900 pop) and Jaca (c. 13400 pop) are other larger communities, cities nearby. Read more about what the town has to offer when it comes to experiences and which companies are located in Spain and Huesca. The city is located about 476 meters above sea level. About 52 100 (2015) inhabitants live in the town. Learn more about which companies are located in the country. Tips and recommendations in Huesca on activities, museums, experiences, attractions, places, events and destinations you can visit during your trip. Plaza de Toros, are well worth a visit to experience culture at an amphitheatre nearby the town centre. Visit Theater Olimpia to see and experience plays, music and shows in the town centre. Cathedral of Jesus Nazareno de Huesca and Church of San Lorenzo are notable churches or cathedrals close by. Golf trip and need to rent a car? Golf Guara 14 km are some golf courses that are close to the community. Castillo de (Castle) Montearagón are new and old castles that we recommend a visit to and are located in Huesca. Park Miguel Servet and Universidad, Huesca Park are located in the town if you want to experience beautiful and interesting parks and gardens. A day at the museums and art galleries of the city? These are located in the central parts of the city at Art and Nature Center – Beulas Foundation, Museo Pedagógico de Aragón, Editorial Pirineo, Catedral – Diocesan Museum and Musée de Huesca. Plaza Luis López Allué, Plaza Catedral, Plaza de Fueros de Aragon and Plaza Navarra are notable large open spaces and squares which are located in the central parts of town. Car hire in airports nearby: Compare Rental Cars Huesca-Pirineos Airport, Zaragoza Airport and Lleida-Alguaire Airport. When you are looking for rental cars we compare these companies Avis, Hertz, Europcar, Budget, Sixt, Thrifty, National, Alamo, Enterprise, Keddy By Europcar, InterRent, Dollar, Firefly, Flizzr, Goldcar, Surprice, Rhodium, Hertz Dream Collection, Autoclick and King rent. You can usually find the largest selection at airports such as Zaragoza Airport, Lleida-Alguaire Airport and Huesca-Pirineos Monflorite Airport. The large companies usually have offices adjacent to the airport.